Dionysis Arvanitakis, a 77-year-old baker from the island of Kos, is the second winner of the Civil Society Prize with which the EESC rewards the most outstanding examples of solidarity with migrants. 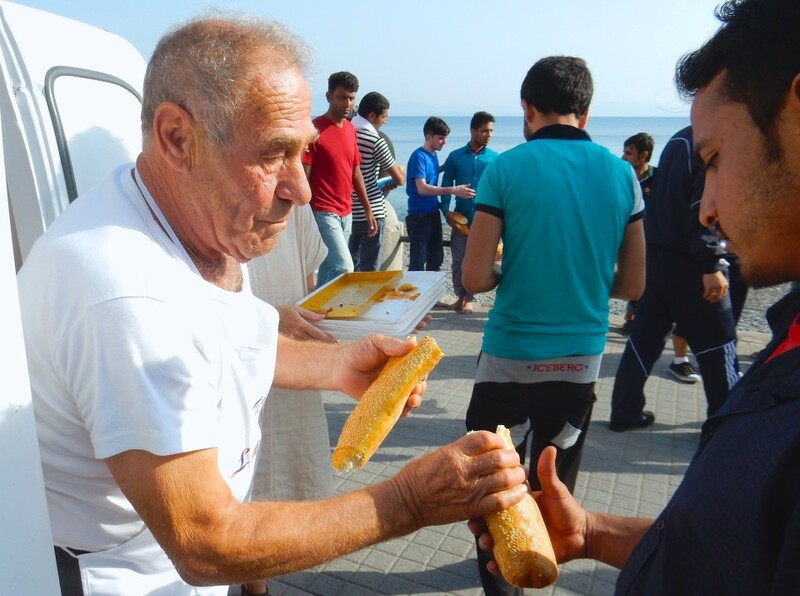 Dionysis Arvanitakis is a 77-year-old Greek baker who at the height of the refugee crisis was baking over 100 kg of bread for the desperate refugees who landed on the island of Kos, just off the coast of Turkey. His generosity inspired colleagues, citizens, hotel owners and many more to follow his example. Why does he help refugees? “Small children from Syria, Iraq and Afghanistan show us the bread with their hands. They do not know the word for food. What man’s heart can remain unmoved when he sees a small child eat the soil?” Arvanitakis said during the award ceremony in Brussels last week. In fact, it was his own personal story and the story of his family that touched Arvanitakis deep inside. “Hadn’t I be a refugee and migrants myself, I might had not helped those arriving by boats to Kos. I might haven’t even noticed them. However, I know what it is to have literally nothing,” he told a Greek website before he left for Brussels. 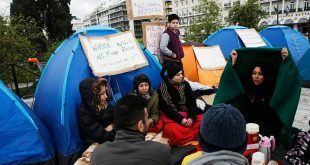 At the age of 15, he found himself in Australia – together with the parents and seven siblings, economic migrants from a village in south Peloponnese seeking for a better life at the other end of the world. With hard work, he managed earn a living, learn the profession of baker. Thirteen years later, he met his wife and both decided to return to Greece and settle down on the island of Kos, the wife’s homeland. They run a successful business, have four children and several grandchildren. 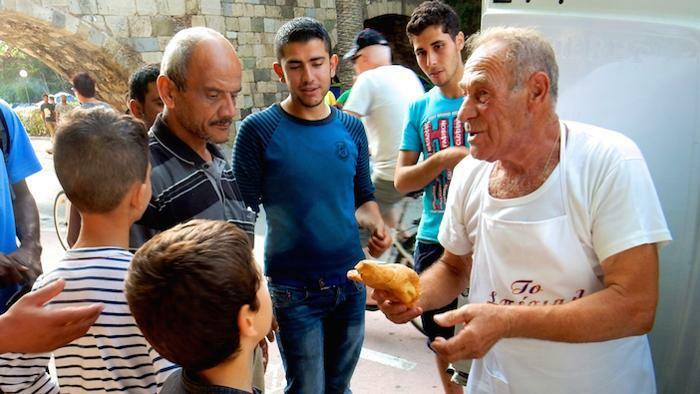 When the refugees and migrants started to arrive on Kos, he decided to baker extra bread and snacks: 100 kilos of bread every day, and in addition cheese-pies, croissants, donuts. He would load them on a small van and bring them to the refugees at the port. Every day – without having his family known about what he was doing. “I did it in secret, but my son found it out,” I heard Arvanitakis saying on a tv channel. Even today, he keeps helping the stranded men, women and children on the island with warm clothes. “It’s cold now on the island,” he says. The five winning projects for 2016 were chosen from a list of 284 projects, which is proof of civil society’s strong engagement in the migration crisis. The Civil Society Prize, now in its 8th year, is awarded for “excellence in civil society initiatives”. Each year, the prize covers a different aspect of the activities of the European Economic & Social Committee.